What's hiding in my dust? Jump to media player Scientists have found thousands of new species living in household dust. How killer flies have the fastest vision Jump to media player Some flies see six times faster than us, catching prey in mid-air in less than a second. Are you allergic to your own home? Jump to media player The source of your discomfort might just be uncomfortably close to home. Apparently millions of us are allergic to where we live. What's hiding in my dust? 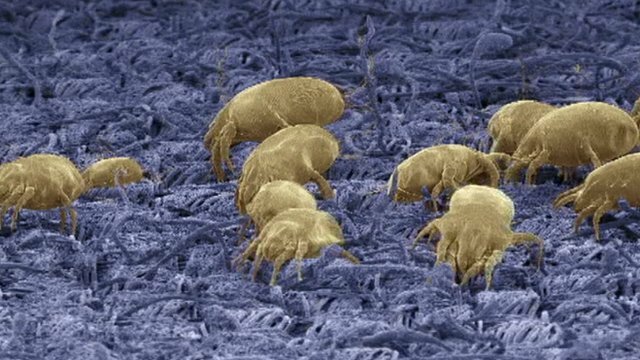 Scientists have found thousands of new species of bacteria, insects and fungi living in household dust. Many of them could have useful properties: yeasts could be used to make new beer and breads and bacteria could turn waste from paper pulp industries into energy.